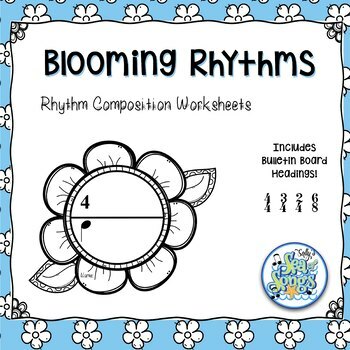 Blooming Rhythms composition worksheets give young musicians a form to practice their creativity and create an awesome interactive bulletin board display. Includes 4 meters, 2 bulletin board heading phrases, and 2 sizes flowers. Worksheets are included for four different meters. Choose the option that will best fit the level of your students. 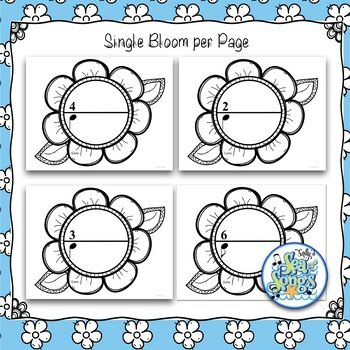 Use the 4-flower worksheets to allow each student to create a longer rhythm composition. Present your own guidelines on the type of rhythms to include and whether or not you will allow repetition. 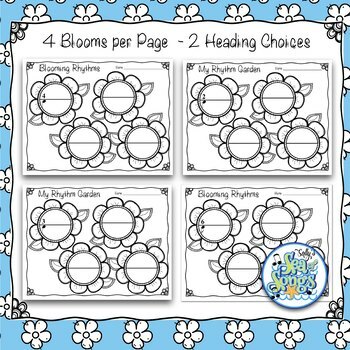 Use the large, single flower pages to encourage collaboration between small groups of students. Each student may create their own pattern following your guidelines, then combine with others to create a composition. The large flowers will make a great bulletin board display! Consider using page protectors or dry erase pockets and dry erase markers to allow students a chance to practice writing their rhythms before transferring to the paper. 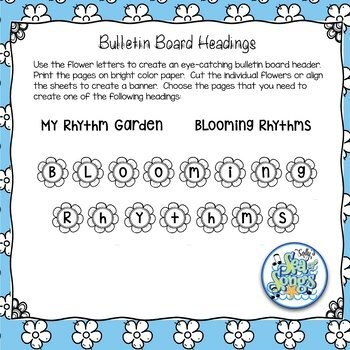 Consider printing the worksheets on bright or pastel color papers for a colorful, standards-based bulletin board. Moosical Rhythms - Read and Write Quarter and Eighth Notes Down on the Farm! Pirate Rhythms - Read and Write the Pirate Way!